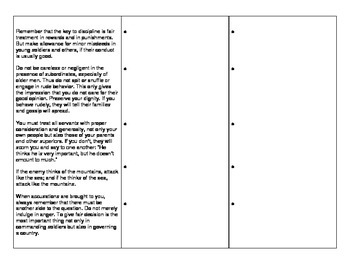 In this resource, students read a primary source about bushido, the Samurai code of conduct. 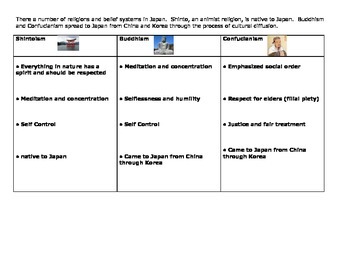 However, the focus is for students to examine how three different religions in Japan (Shinto, Buddhism, and Confucianism) influenced the teachings of bushido. Included is a reference chart of the three religions in Japan, but some instruction would be required.